A new take on the phrase "Ace up your sleeve"! These throwing knives hit hard and look good doing it. 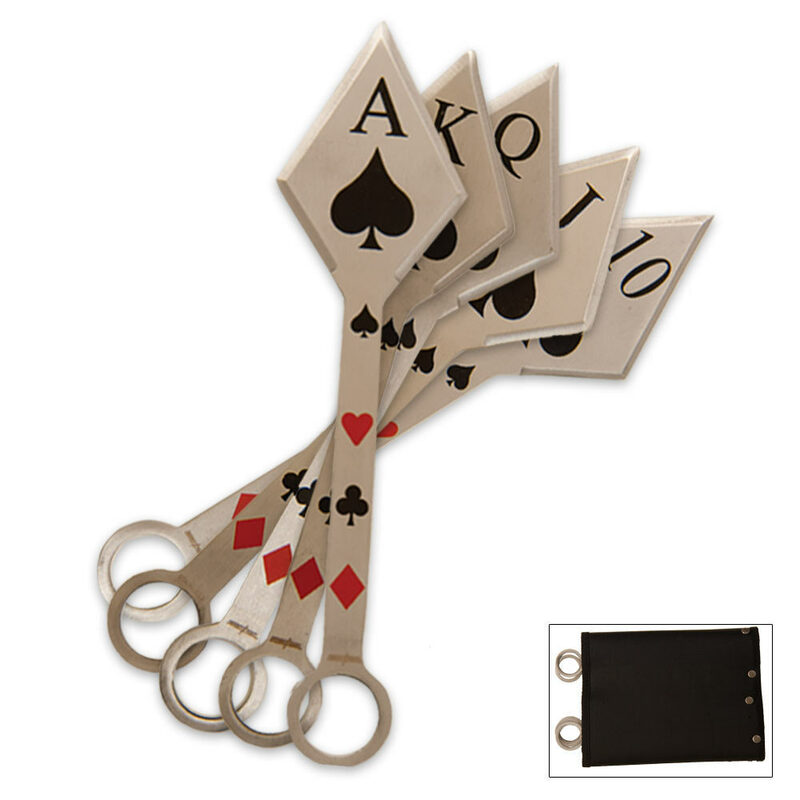 Crafted from solid stainless steel, they have a kunai-like design, with poker card artwork. Line these throwing knives up and you have a royal flush of spades. Each knife measures 7 1/2 in. overall. Includes black nylon sheath. Hi all of you. I love this set of throwing knives even though I wont throw them. They are gorgeous. For this price any card afficianotto just loves the look of them. Sharp and brilliant color and the sharpness of the diamond blades are amazing. 2for 1 bogo makes this a deal I could not pass up.I got 6 sets of these and I am awed at the value. 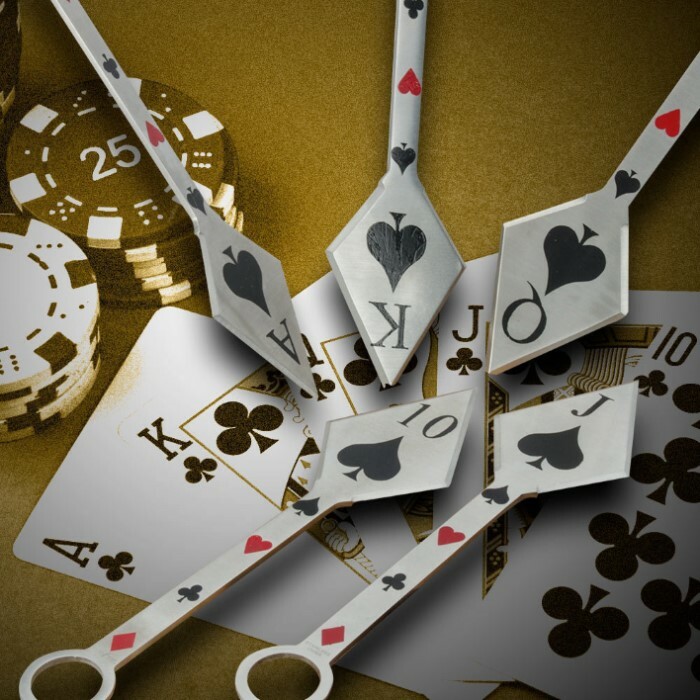 Good work BUDK,a homerun product for all of us card players and gambles to collect and enjoy. GEEZ just a good product for anyone who likes these kind of GEMS. Jerry Hines AKA THE KNIFE MAN. This is a really unique set. We live near Las Vegas. This is better than expected. My husband enjoys things like this in his collection. Thankyou!